The start of every year brings a wave of new and amazing gadgets revealed at three major tech shows; CES, MWC and SXSW. And if this year is anything to go on, very soon we will be welcoming a growing number of connected devices into our daily lives. Judith Bitterli, Chief Marketing Officer at AVG Technologies examines how wearable technology is becoming less “geek” and more “chic” and is starting to show real, practical promise, while considering the implications for our privacy. The sports and healthcare industries are also early adopters when it comes to wearable technology as powerful, connected gadgets that can revolutionize the way we monitor and quantify our daily lives. While our activity trackers, smart watches and GPS-enabled gadgets represent an Internet connected future full of possibilities, so too are there challenges. By 2020, there will be an estimated 50 billion connected devices in the world, each one transmitting data to and from the cloud. But as new devices are developed to track all aspects of our lives, these devices will start to transmit and share some of most personal information. We are at a crossroads of data security. When your GPS enabled fitness device uploads the details of your latest run, who owns that data? How and where is it stored? Who can you trust with your data? AVG recently collaborated with MEF to conduct a study into how mobile users view privacy in mobile apps. And the results indicate that trust and transparency when it comes to data could prove to be a major obstacle the mobile industry needs to overcome in order to realize the potential of mobile commerce. The study showed that when it comes to making purchases from smartphones, people are looking for three key things: trust, privacy and transparency. Understandably, people want to be able to trust the apps that they use. They want to know that their sensitive personal information is safe and that they are dealing with a legitimate company. Thirty per cent of respondents claimed that trust was the single most important barrier to purchase from their mobile devices. The MEF and AVG study also revealed that when it comes to sharing our data, two-thirds of people (65 per cent) actively dislike sharing their information with their apps. That’s not to say that they won’t share their information, but people have learned to be distrustful of what is happening to their data once they turn it over to companies. As you would therefore expect, mobile users really do seem to appreciate transparency when it comes to their personal data. The report indicates that 42 per cent of those polled said that transparency over use of their personal data was “extremely important” to them. Taking all these factors into consideration, the tech industry has got some major challenges to address before people will be willing to cede control of the personal data which documents their lives in minute detail. That’s not to say those challenges won’t be met and overcome. The key comes in delivering a level of transparency that makes understanding the choices around what technologies they can trust easy for all users. Data privacy and security need to come out of the small print and into clear view. Companies and governments need to make data policies easier to understand so that everyone, of any expertise can make their own decisions as to what data they are comfortable sharing and who they want to share it with. 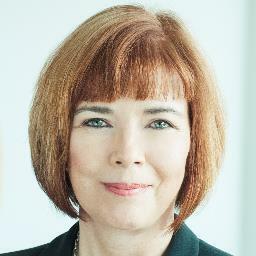 Judith Bitterli is Chief Marketing Officer at AVG Technologies. You can follow her on Twitter @JudyatAVG. MEF Members can download the Global Consumer Trust Report in full from the MEF website.